A pterygium is tissue that grows from the thin membrane, which covers the white of the eye on to the cornea; the clear central part of the eye. People that are extensively exposed to UVA and UVB (farmers, fishermen, surfers, skiers, golfers, and gardeners for example) tend to develop a Pterygium with increased frequency. In mild cases, irritations in the eye caused by a Pterygium can be treated with eye drops (artificial tears) however , surgery is the more promising option, where the abnormal tissue is removed from the cornea and sclera. 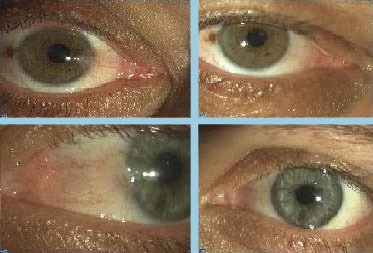 The reoccurrence of Pterygiums has been decreased with modern techniques and treatments but can never be guaranteed. The gap in the conjunctiva tissue where the Pterygium is removed gets filled with tissue from underneath the upper eyelid. The tissue is kept in place by tiny stitches, which dissolve after a couple of weeks or can be removed at the doctors practice. This is, in my opinion, the more painful and less successful procedure. 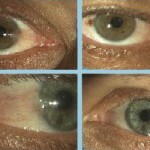 The abnormal tissue is removed and the gap gets refilled with tissue from underneath the eyelid and glued in place with a modern tissue adhesive. After about a week the adhesive dissolves with nor residue at all. Less pain and much more successful procedure. My results with TISSEEL have been so successful that I do not advocate suturing in pterygiums anymore.